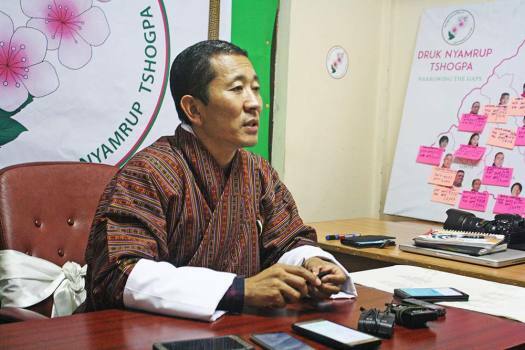 Lotay Tshering at his DNT office. Will he be as successful as PM? Cricket legend Sachin Tendulkar plays football with children at a school in Thimphu, Bhutan. 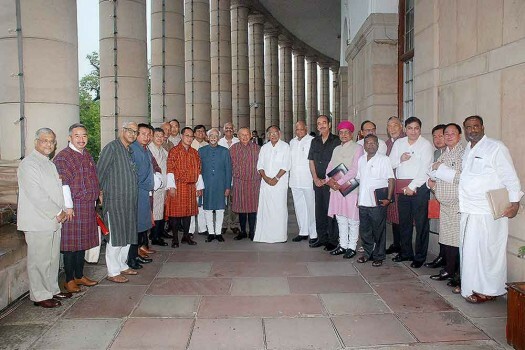 Tendulkar is in Bhutan to spread awareness about UNICEF's Handwash initiative. 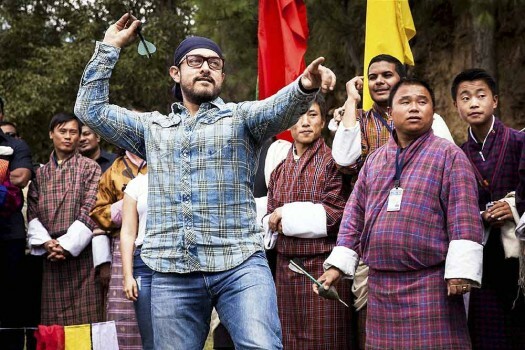 UNICEF Regional Goodwill Ambassador Aamir Khan during his visit to advocate against malnutrition, in Bhutan. 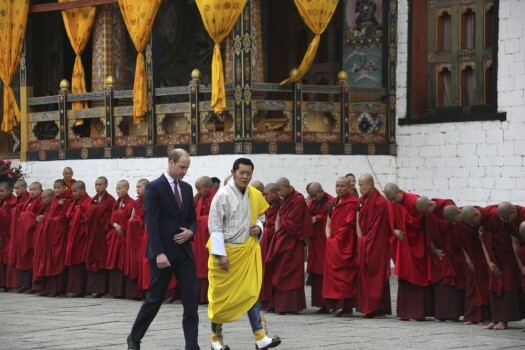 In this photo provided by Royal Kingdom of Bhutan, Britain's Prince William left, walks with Bhutan's king, Jigme Khesar Namgyel Wangchuk, in Thimphu, Bhutan. 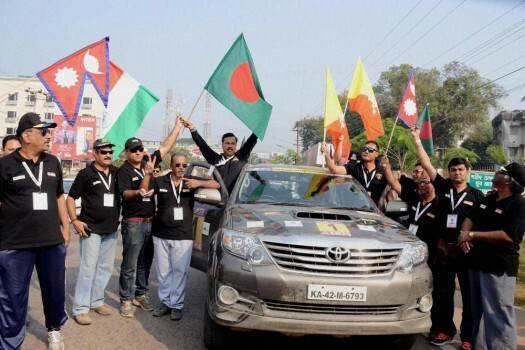 Participants of Bhutan-Bangladesh-India-Nepal (BBIN) friendship car rally at Agartala. 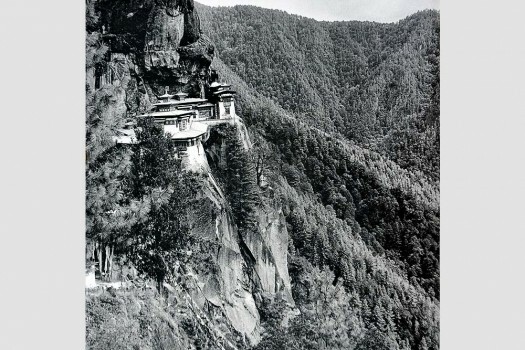 A view of Taktsang Goemba or 'Tiger's Nest', from a lookout right across on the trek from Paro to Taktsang. Near Paro, West Bhutan, 2005. 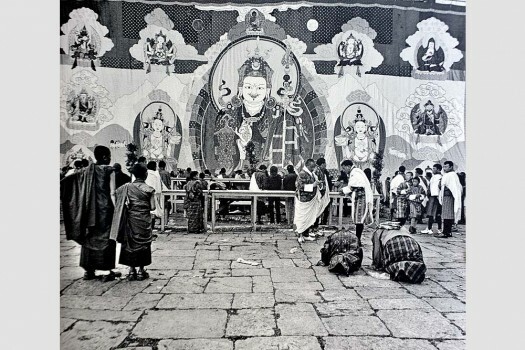 A thondrol, a huge thangka, more than 18 metres square, is unfurled before sunrise on the final day of the tshechu at Paro Dzong. 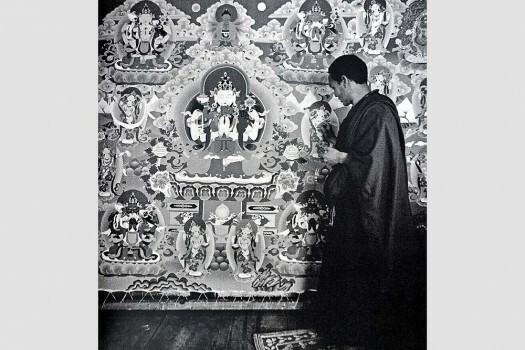 Paro, West Bhutan, 2005. 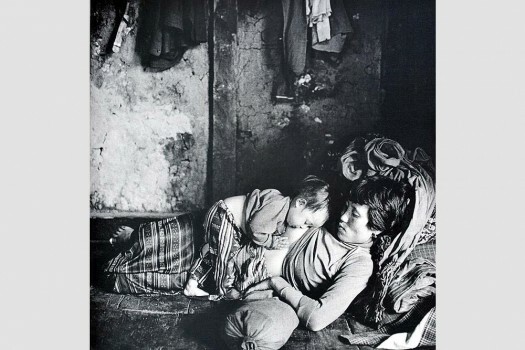 Dorji feeds her baby at her parents' Teye-tey and Lham's home, Rukha village, West-Central Bhutan, 20014. 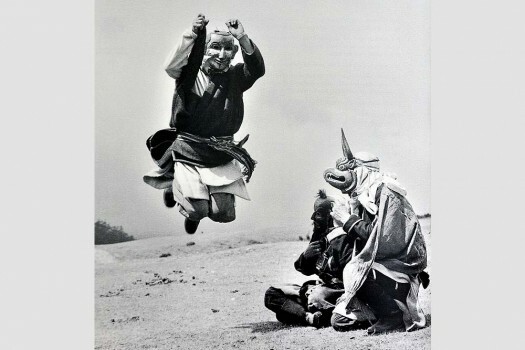 Theotpa Gali leaps up enacting the story of Merak in the Yak Cham. Merak, East Bhutan, 2004. 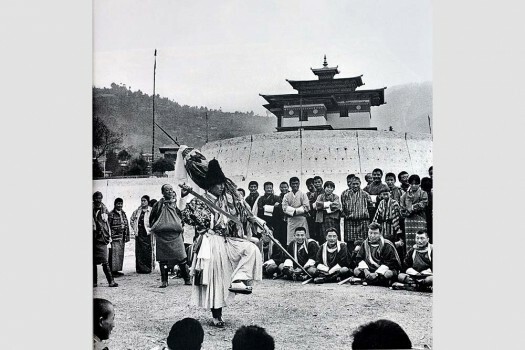 The zimpon (a general of the Shab-drung's army) performs a sword dance called the baey and le-ma at the Punakha Dromchoe outside the Punakha Dzong in Punakha, West Bhutan, 2004. 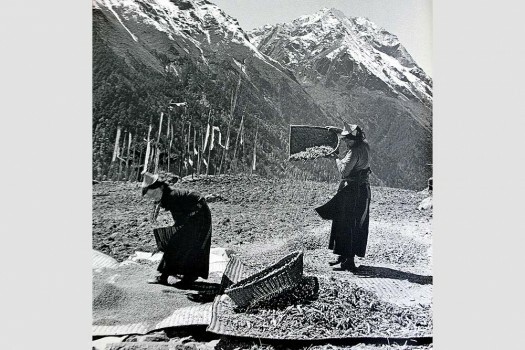 Kinley Lhaden and Kencho Om harvest the crop in Laya village, North-west Bhutan, 2003. 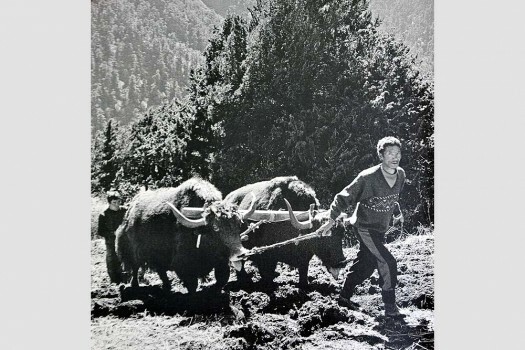 Tenzing breaks in a young yak and tames him by teaching him how to plough a field in Laya village, North-west Bhutan, 2003. 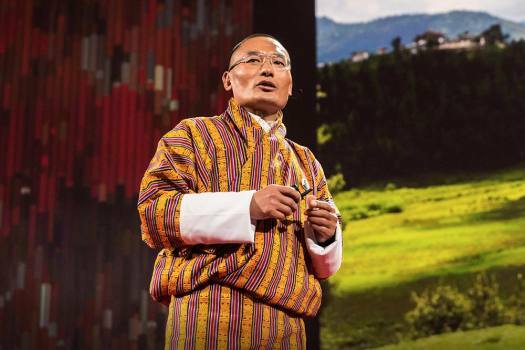 A new Bhutanese prime minister, when he takes office next month, will have to face the challenge of balancing between its two big neighbours and match Thi­mphu’s own interest with theirs. From the great gold tiffin robbery from Nizam Museum in Hyderabad to infotainment for jail inmates in UP- read this and much more in The Subcontinental Menu. "Geography favours inclination towards India and as far as alliance (with China) is concerned, it is a temporary thing," he added. Chinese and Indian troops faced off on the disputed Doklam plateau between Bhutan and China after the Chinese People's Liberation Army began building roads through the area. "Bhutan welcomes the disengagement by the two sides at the face-off site in the Doklam area," the Bhutanese foreign ministry said. The Chinese state-run daily says if Indian troops continue to linger on its soil, “countermeasures from China will be unavoidable”. India has been very patient and calm in its statements but it is very unlikely that it will give in to China unless through mutual agreements for a simultaneous withdrawal of forces.